South Korea's Hyundai Merchant Marine (HMM) has selected country’s three major shipbuilder and signed letters of intent (LOIs) with them to build 20 container carriers by mid-2021, reported Yonhap. According to company sources, as quoted by Reuters, the South Korea’s largest shipper believes that through the acquisition of the most technologically advanced mega container ships, it can strengthen cost competitiveness and react rapidly to the international environmental regulations. 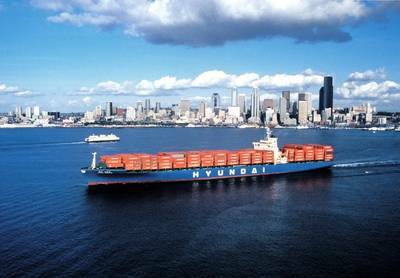 The Yonhap report said that HMM signed an LOI with Hyundai Heavy Industries Co., Daewoo Shipbuilding & Marine Engineering Co. and Samsung Heavy Industries Co. to place three separate orders to build twelve 23,000 twenty-foot equivalent unit (TEU) and eight 14,000 TEU container carriers. 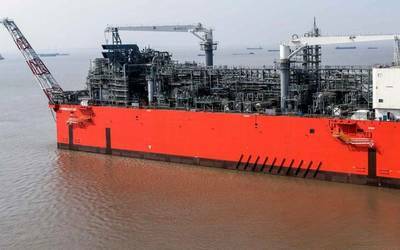 Hyundai Merchant plans to sign a contract with the three shipbuilders after discussing further details on the building process, the report said.